Egyptians left the Tower of Babel on the plain of Sumer (Shinar) and settled in Africa, building the Step Pyramid in Mizraim/Djoser's reign. (Mizraim Genesis 10:6 & 10:13)The Step Pyramid and temple was Sumerian in design. Real Egyptian history begins with the pyramid builders, who used their knowledge from building the Tower of Babel for designing the Step Pyramid. Egyptian & Sumerian Connection ? I read about those Celtic mummies in western China and found the article quite fascinating. Many encyclopedia writers relating to Egypt's origin state there had to be a Sumerian/Egyptian connection at the earliest times. These people were Celts from Europe, and were possibly the very first people in China before the 'Chinese'. "Egyptians left the Tower of Babel on the plain of Sumer (Shinar) and settled in Africa, building the Step Pyramid in Mizraim/Djoser's reign. (Mizraim Genesis 10:6 & 10:13) The Step Pyramid and temple was Sumerian in design. Real Egyptian history begins with the pyramid builders, who used their knowledge from building the Tower of Babel for designing the Step Pyramid." I haven't checked out your reference to Genesis yet to confirm all the detail, but just a innocent query; Do you happen to have any non-Biblical evidence supporting these facts? It would be a nice extra, just to backup the Bible verses. - ps. Too bad you still don't agree most modern Jews are not descended from the ancient Jews, but from Khazars and Edomites. Guess you need to do some more Google searching on this subject. The further back you go in recent history the darker in skin tone the modern 'Jews' become and yet the Bible reveals the opposite of the ancient Jews. Song of Solomon 5:10 "My beloved is white and ruddy, the chiefest among ten thousand." Egyptian king Amenhotep I's real reign was between 1603-1582 B.C. The Egyptians started making glass beads. Babylon king's Gandash reign was from 1595-1571 B.C., when the Babylonians make fine red crystal glasses. Abraham left Egypt with considerable amounts of cattle, gold and silver. (Genesis 13:1-2) Pharaoh Pepi II died a few years later and Egypt experienced civil war where the slaves were to dress in riches and the rich were dressed in rags as society was turned upside down. Abraham was blessed with wealth as Egypt declined. Joseph reigned as governor over Egypt when a pharaoh (Senusret III) bought all Egyptian land except the priest's land. (Genesis 47:20-22) Egypt had prospered and been blessed with wealth when Joseph reigned. Pharaoh Ahmose had been jealous of the Amenemhet and Senusret kings promising Egyptians land if they joined his army. While Senusret III, Amenemhet III and Amenemhet IV welcomed foreigners into Egypt, Ahmose opposed foreigners. Ahmose family had caused a civil war soon after Joseph died. Prosperity ended during Ahmose reign. Moral of the story. The Hebrew God will make you prosper! Walter Emery, working for the Egyptian Exploration Society, discovered at Buhen, Nubia a horse skeleton proving the horse arrived in Egypt pre-Hyksos. The horse was dated to 12th dynasty Senusret III's reign. The Bible states the Canaanites traded their horses for bread. (Genesis 47:15-17) The Canaanite Hyksos came to Egypt when Senusret III annexed Canaan in his 16th year of reign. Horses were scarce in Egypt; horses were used in ceremonies not war in the 12th Egyptian dynasty. Horses were used to pull Joseph's chariot; and horses and chariots escorted Jacob's body to Canaan. It seems like the so-called Hyksos kings were only mere chieftians. Sheshi, Yakubber, Khyan likely served under Senusret III and Amenemhet III. Amenemhet III had trade contacts with Babylon and the island of Crete. Khyan artifacts are found at Babylon and the island of Crete. Hyksos chieftian Apepi I would then serve near the end of Amenemhet III's reign, while Apepi II would be the chieftain who fights Ahmose. The Canaanite Hyksos stayed in Egypt for about 97 years. Wouldn't the three generations use the same design pottery for all three generations? Archaeologist Janine Burriau found 12th dynasty bowls where the Hyksos and Hebrews lived in Egypt, along with only late 17 dynasty bowls created at the time of the Thebean wars. Joseph lived in Egypt's 12th dynasty some 93 years of 12th dynasty pottery. Moses was born after the Thebean wars, when Thebean pottery became more the norm. Joseph lived in Egypt's 12th dynasty where he saw the Hebrew's three generations through the reign of Egyptian kings Senusret III, Amenemhet III & Amenemhet IV; and Moses being born when the Thut-mose family reigned over Egypt. The 18th dynasty leaves no room for Egypt's 13,14,15,16 and part of the 17th dynasties to actually exist. Seti I 1360-1347 B.C. & Ramses II 1347-1280 B.C. both fight Hittite king Muwatallis 1363-1337 B.C. Assyrian king Tukulti-Ninurta 1283-1247 B.C. had conquered most of Syria and some Syrians fled to the Hittite empire, Lebanon, Israel and Egypt. Israel judge Gideon defeats the Syrians in 1251 B.C. Egyptian queen Tausert 1251-1249 B.C. had an affair with her Syrian butler Bay. 1249-1247 B.C. Syrian Irsu reigns over Egypt. 1247-1245 B.C. Setnakht reigns over Egypt. 1245-1213 B.C. Ramses III reigns over Egypt. The Sea Peoples attack Egypt in his 8th year 1237 B.C. The Hittite empire falls in 1237 B.C. under a Sea People attack. Egypt loses most of her trading partners as these invaders take over the coastal areas of western Asia. In Ramses III reign he is nearly assassinated. Violence in Egypt and Israel. Abimelech 1218-1215 B.C. proclaims himself an Israeli king after slaying his 70 brothers. 1213-1207 B.C. Ramses IV reigns. 1207-1203 B.C. Ramses V reigns. 1203-1193 B.C. Ramses VI withdraws the remaining Egyptian troops from Asia. Jair 1192-1170 B.C. reigns over Israel and builds 30 cities. 1193-1192 B.C. Ramses VII food prices begin to soar in Egypt. 1192-1185 B.C. Ramses VIII there is social unrest in Egypt. 1185-1166 B.C. Ramses IX stability returns to Egypt. 1166-1157 B.C. Ramses X no trade relations with Palestine or Syria. Ammon blocking trade route. Ammon 1170-1152 B.C. oppresses Israel. 1157-1130 B.C. Ramses XI sends Wenamun to Byblos to reestablish trade. Wenamun gets robbed before completing his task. 1130-1103 B.C. Smendes reigns over Egypt and restores the temple at Karnak. Philistines oppress Israel 1139-1099 B.C. Philistines have Ark of the Covenant 1119-1099 B.C. 1103-1099 B.C. Neferkhres reigns over Egypt's delta while there is civil war at Thebes. 1099-1049 B.C. Psusennes I reigns. He is quite wealthy, while most peasants live in extreme poverty. Some Egyptians sell themselves into slavery and other Egyptians become mercenaries. Israel's king Saul 1099-1059 B.C. David saves the life of an Egyptian slave. Israel's king David 1059-1019 B.C. slays an Egyptian mercenary. Israel's king Solomon 1019-979 B.C. 1040-1034 B.C. Osokhor, so little is known. 1034-1014 B.C. Siamon hates the Philistines and he destroys the Philistine city of Gezer for king Solomon as a wedding present when Solomon marries his daughter. 1014-995 B.C. Psusennes II keeps the power of the Philistines in check. 995-974 B.C. Sheshonq I (Biblical Shishak)reigns over Egypt. Attacks Israel in Judah's king Rehoboam's 5th year 974 B.C. and Shishak dies a few months later. Pharoah Thutmose III requires that all Egyptian captives bow down before Egyptian gods. Moses refuses. Thutmose III drowns in the Red Sea in 1495 B.C. as the Exodus takes place. 1495-1471 B.C. Amenhotep II puts down two rebellions in Asia after the Exodus while the Hebrews are in the wilderness. 1471-1462 B.C. Thutmose IV marries a Mitanni princess as the Mitanni and Egyptians unite against a Hittite threat. 1462-1424 B.C. Amenhotep III receives the Tel-Amarna letters from the Canaanites stating the Hebrews have invaded Canaan. 1424-1407 B.C. Akenaton developes monotheism in Egypt. Akenaton's uncle is Tushratta Cushan-Rishathaim in Judges 3:8. 1407-1406 B.C. Semenkare reigns over Egypt. 1406-1396 B.C. Tutankhamen reigns over Egypt. Israel is at peace. 1396-1392 B.C. Ay reigns over Egypt. He slays Hittite king Suppiluliumas son. Egypt and the Hittites go to war. 1392-1361 B.C. Horemheb reigns over Egypt. Plague strikes Egypt and the Hittites.King Suppiluliumas dies of plague. 1361-1360 B.C. General Ramses I reigns over Egypt. 1360-1347 B.C. Seti I reigns over Egypt. Egyptian troops use Beth-Shean as a supply center. Judge Ehud defeats the Moabites. The Egyptians go to war against Hittite king Mursilas II. 1347-1280 B.C. Ramses II fights Hittite king Muwatallis at Kadesh and the battle ends in a stalemate. Ramses II 34th in the year 1313 B.C. gives the Hittite king Hattusilas III Lebanon as a wedding present. The Hittite king Tudhaliyas III 1301-1274 B.C. gives Lebanon away to the Amorites as they form a military alliance against Assyrian king Shalmanesar I 1314-1284 B.C. Jabin the Canaanite/ Amorite oppresses Israel 1298-1278 B.C. 1280-1268 B.C. Merneptah I states "Israel destroyed her seed not" when he witnessed Jabin's devastation of Israel. Libyans invade Egypt searching for food to feed their bellies. 1268-1263 B.C. Amenmesses reign the Syrians escaping Assyrian rule migrate to Egypt. 1263-1258 B.C. Seti II reigns over Egypt. 1258-1251 B.C. Merneptah II reigns over Egypt. 1251-1249 B.C. Queen Tausert has an affair with her Syrian butler Bay. One can link Egyptian and Israel's history together by fitting the book of Judges in the 1 Kings 6:1 chronology. How the book of Judges fits exactly into 1 Kings 6:1. 1418-1378 B.C. Othniel reigns as judge. Othniel defeats Cushan-Rishathaim in his 8th year 1410 B.C. 1378-1298 B.C. Judge Ehud slays Moabite king Eglon in his 18th year 1360 B.C. 1298-1258 B.C. Deborah and Barak defeat Jabin in the 20th year 1278 B.C. 1258-1218 B.C. Gideon defeats the children of the East and Midian in his 7th yr. 1251 B.C. 1218-1215 B.C. Abimelech reigns over Israel. 1215-1192 B.C. Tola reigns over Israel. 1192-1170 B.C. Jair reigns over Israel. 1170-1152 B.C. Ammon oppresses Israel. 1170-1163 B.C. Ibson reigns as judge. 1163-1153 B.C. Elon reigned as judge. 1153-1147 B.C. Jephthah reigned as judge some 300 years after Joshua destroyed Jericho. (Judges 11:26)Defeats Ammon in 1152 B.C. 1147-1139 B.C. Abdon reigns as judge. 1139-1099 B.C. Philistines oppress Israel. 1139-1119 B.C. Samson reigns as judge. 1099-1059 B.C. Saul reigns as king over Israel. 1059-1019 B.C. David reigns over Israel. 1019-979 B.C. Solomon reigns over Israel. Joshua destroyed Jericho in 1455 B.C. Egyptian king Amenhotep III 1462-1424 B.C. receives the Tel-Amarna letters from Canaanite kings stating the Haribu (Hebrews) have invaded Canaan. He kept the Philistines in check. Sheshonq I, Biblical Shishak (1 Kings 14:25)995-974 B.C., attacks Jerusalem and dies a few months later. Psusennes II harassed the Philistines during king Solomon's reign 1019-979 B.C., and Shishak invaded Israel in Rehoboam's 5th year 979-962 B.C. Rehoboam's 5th year = 974 B.C., some 521 years after the Exodus. Exodus = 1495 B.C. Solomon's 4th year 1015 B.C. 480 years after the Exodus. Egyptian king Siamon'S 1034-1014 B.C. enemies were the Philistines. Siamon's daughter marries Israel's king Solomon 1019-979 B.C. The Egyptian king burns down the Philistine city of Gezer as a wedding present for king Solomon. Egyptian king Psusennes I 1099-1049 B.C. was quite wealthy according to an archaeologist whom had found his death masks at Tunis. There was extreme poverty in Egypt among the peasant population. Some Egyptians sold themselves into slavery and other Egyptians became mercenaries. Israel kings Saul 1099-1059 B.C. and David 1059-1019 B.C. When David served under king Saul he saves an Egyptian slave (1 Samuel 30:11-15) and David slays an Egyptian mercenary (2 Samuel 23:21)when he is king. Ramses VI 1203-1193 B.C. (Biblical chronology)pulls the last Egyptian troops out of Asia. Its interesting that the Israelites waited to build their cities after the Egyptians left Asia and Egypt was on the decline. tribe. The man's name was Path-ru, deified Ptah. Imhotep's real father was Kanofer. Imhotep claims to be Ptah's son. Ptah was the chief god who created other gods. This indicates the Egyptian tribe Pathrusim was the first tribe reaching Africa from Sumer, creating Egypt's false gods. Imhotep designed the Step Pyramid and temple at Sakkara in Sumerian fashion. Egyptian king Zoser started the Pyramid Age. Zoser's most likely is Egypt's first non-legendary king. King Snef-ru's father is likely Path-ru. Imhotep's mother was Khredu-ankh. The ankh is a fertility symbol. The T cross is the symbol for Tammuz. (Tammuz Ezekiel 8:14)Tammuz is the deified Nimrod. Enheduanna was Sargon/Nimrod's daughter. Enheduanna was the first moon priestess of UR and Annapadda was the first moon priest. She believed in Tammuz. Enhe-duan-na and Khre-duan-kh might be sisters. The Execration Texts occurred at the same time Senusret III had annexed Canaan. Some Egyptians placed curses on bowls breaking them in a ritual supposing to eliminate Egyptian internal and external enemies by cursing their enemies. Egyptian delta cities, especially Avaris and Heliopolis, when Joseph was an Egyptian governor. More slaves as faraway as Babylon came to Egypt in Egyptian king Amenemhet III 1685-1640 B.C. reign. Amenehmet III uses them to complete Bahr Yosef (Joseph's canal). Execration Texts were found by archaeologists as far away as Nubia. The bowls were either created by Egyptians living in Nubia, or by Nubians angered that Canaanite immigrants were allowed in Egypt during Senusret III's reign and Nubians were not allowed to enter Egypt. The Thebean princes were no doubt angry to have lost their large land estates to Senusret III & not since Amenemhet I slaying of usurper Thebean Mentuhotep IV have Thebeans been more angry. This might explain the reason Amenemhet IV disappeared from history. It was Ahmose Thebean family who actually put an end to the prosperous Amenemhet/Senusret dynasty. It was the Amenemhet & Senusret kings who were on the Canaanite side of this conflict. Its a more realistic picture than a letter written from Hyksos/Canaanite chieftain Apepi to Thebean prince Seqenenre Tao to stop a hippo's roar some 500 miles away that was the beginning of the Canaanite and Thebean prince wars. Senusret III had confiscated all Egyptian lands except for the priests lands. (Genesis 47:20-22)It was Thebean Ahmose who promised Egyptian soldiers land who sided with him during this war. It was Ahmose reversing Senusret III's policy. The Canaanite stay in Egypt was primarily 1702-1608 B.C. some 94 years. The Tale of Wenamun was written in Ramses XI 1157-1130 B.C. last years. Wenamun was sent to Byblos to secure cedars of Lebanon to build the barque of Amun at Thebes. The travel route was unsafe and Wenamun was robbed on his way to Byblos. In the past he would have been an honored visitor and the king of Egypt could have received all he required. Now the princes of Byblos demanded payment for the wood. This reflects the instability existing in Ramses XI reign. The Philistines had the Ark of the covenant for 20 years 1119-1099 B.C. Egyptian king Smendes 1130-1103 B.C. civil war still raged in the Thebean area. Dissidents were exiled to the western oases, then controlled by Libyan chiefs. There is a letter written by Hyksos king Apepi I complaining to his Thebean counterpart that he was unable to sleep in Avaris because a roaring hippopotami 500 miles away at Thebes & suggested that Seqenenre do something about it. Is this start of the Hyksos/Canaanite wars a child's tale? Do Egyptian historians believe this? Seqenenre Tao body was actually discovered by archaeologists. Tao had been struck by an ax and he had other head wounds. No doubt there was a war, but the war was not caused by a hippo's roar. Janine Burriau's research indicates there was only 12th dynasty and late 17th dynasty pottery in Memphis and Egypt's delta. The child's tale is a coverup for the destruction of Egypt's 12th dynasty, meaning the Canaanites were on the side of the 12th dynasty fighting Thebes. The coverup continues with Thebean Ahmose's history, for he lets the Hyksos/Canaanites peacefully depart from Avaris. Why peacefully? The Hyksos killed his father and brother. Ahmose will let them leave peacefully? Egyptian priest historian Manetho has this garbled history all wrong. Janine Burriau said the evidence she uncovered shows the Canaanites came to Egypt in peace and did not destroy Egyptian customs or temples. Joseph drove a horse driven chariot and chariots were used at Jacob's funeral. The horse was used in ceremonies in Egyptian king Senusret III's reign, 1724-1685 B.C. Amorite Babylonian king Samsu-luna 1749-1711 B.C. 9th year the Kassites in horse driven chariots attack Babylon. The Kassites introduced the horse driven chariot into the Middle-East. Amorite Babylonian kings reigned 1895-1595 B.C. Egypt's 12th dynasty is actually 1843-1628 B.C. Egypt did have trade with Babylon. Its just not recorded in the history books for some reason. Egyptian king Sheshonq V 775-738 B.C experienced a plague at the middle of his reign and near the end of his reign. Three men all proclaimed they were king; Iuput, Peftjauabaster and Nimlot. Zechariah reigns over Samaria 771-770 B.C. in Azariah's 38th year. He was assassinated by Shallum and he reigns for one month. Menahem assassinates Shallum. Manahem reigns over Samaria 770-760 B.C. Manahem's son Pekahiah 759-757 B.C. is assassinated by Pekah, who reigns 757-737 B.C. Pekah is assassinated by Hoshea who reigns 737-728 B.C. Assyrian king Tiglath-Pilesar 753-734 B.C. came to power by assassinating several royal princes when he was governor of Calah. Babylon's king Eriba-Marduk 809-770 B.C. drives back the Elamites. A terrible plague strikes Babylon late in his reign. Josephus book,"The Antiquities of the Jews", page 68 is informative. It relates how the king's daughter Thermuthis discovered Moses in an ark in the water. Thermuthis wanted Moses to grow up as her son and be heir of her kingdom. The sacred scribe wanted to kill Moses when he saw Moses as the one fore- told who would bring down the kingdom. Thermuthis protected Moses against all his their evil plans. Thermuthis from the (Thutmose) family is princess Hatshepsut. Her father was Thutmose I who wanted all male Hebrew babies slain. Thutmose II was a sickly king. Queen Hatshepsut ruled for him. Thutmose III was pharoah of the Exodus. Amenhotep II had rebellions on his watch soon after the Exodus the Syrians revolted twice. The Egyptian king once fearful the Assyrians might attack Egypt sent no soldiers to help Syrian king Hazael. You see, historians are at odds over Assyrian king Shalmaneser III's history and his boasts. It is 2:00 A.M. and my friends tell me I have it all backwards. Judah's king Jehoash does pay Syrian king Hazael tribute, however its the Assyrians who defeat Hazael's army. Egyptian king Sheshonq III mobilizes his army to protect Egypt's borders. Assyrians fail to enter Egypt. Sheshonq III now has internal enemies he encounters. Syrian king Hazael had stopped the Assyrians from entering Damascus. Hazael then turned his attention towards Jerusalem. The Assyrian conquests ceased. Sheshonq's III Egypt was mobilized. Hazael's victory brought Egypt peace from external enemies while internal politics threatened to tear the nation apart. Egyptian king Takelot I 939-930 B.C.left no major monuments. Egyptian king Osorkon II 930-906 B.C. Beautiful jewelery found in his tomb proves Osorkon II to be quite wealthy. Israel's king Ahab 921-899 B.C. built the House of Ivory. (1 Kings 22:39) Ahab was quite wealthy. Egyptian king Takelot II 906-881 B.C. civil war strikes Egypt. Egyptian king Sheshonq III (Shishak III)881-842 B.C. Egypt is threaten by Assyrian king Shalmaneser III 867-833 B.C. Judah's king Jehoash 878-838 B.C. is having trouble with the Syrians at this time in history. Abraham left Egypt in 1917 B.C. in Pepi II's 2007-1913 B.C. reign. Abraham was 75 years old; Sarah was 65 years old when they met the old king Pepi II. Mentuhotep II 1913-1862 B.C. faced a crisis. The Nile river ran low. Farmers lost their crops. Some Egyptians were even eating their children. Nomarchs fighting nomarch's. Chaos prevailed. Mentuhotep II was able to defeat the House of Khety and unify Egypt in his 39th year. Mentuhotep III 1862-1850 B.C. with Egypt at peace he reestablished trade with Punt. Mentuhotep IV 1850-1843 B.C. creates a crisis as he was a usurper to the Egyptian throne. Amenemhet I 1843-1813 B.C. builds Walls of the Ruler to keep the Amorites out of Egypt. Amenem-het I is assassinated. Senusret I 1813-1777 B.C. Rich farmers complain about the famine hitting Egypt. Amenemhet II 1777-1743 B.C. receives Tod treasure from the Minoans in his 28th year. Senusret II 1743-1724 B.C. Minoan laborers build his temple. Senusret III 1724-1685 B.C. prospers by selling nations surplus grain during the global famine. Amenemhet III 1685-1640 B.C.completes Bahr Yousef (Joseph's canal)Egypt prospers. Amenemhet IV 1640-1631 B.C. Sinai mines are still open. Egypt prospers. Amenemhet IV dis-appears from history. Egyptian king Takelot I 15 years was reduced to 9 years, Shishak III 52 years reduced to 39 years since these kings reigns go no higher according to inscriptions. I agree. Takelot III 7 years reduced to two years because five years were co-regent. I agree. all the relationships between the many rulers, especially their dates, are clear. Pami could indeed succeed Takelot III. This dynasty mix between the 22nd and 23rd dynasties might be right. Osorkon IV's reign at 738-723 B.C. does appear to be accurate. Sheshonq I(Shishak I)995-974 B.C. came up against Jerusalem and he took away all the treasures of the Lord; he took away all: and he took away the gold shields which Solomon had made. (1 Kings 14:25-26)Rehoboam 979-962 B.C. Shishak died a few months after invading Israel. Libyan Egyptian king Shishak I & Libyan Egyptian king Osorkon I both used Ethiopian soldiers in their attacks upon Judah's kings Rehoboam and Asa. Egyptian scribes fail to mention the Ethiopians. Sheshonq II (Shishak II)939 B.C. died after reigning over Egypt for one month. He was buried in a silver coffin. Where did Egypt obtain the silver? Most likely from Shishak I attack upon Jerusalem in Rehoboam's 5th year. The reason for part I Egyptian Assyrian history list is to follow the Assyrian kings reign of years as to how they align with ancient history. Assyrian king Tiglath-Pilesar III 753-734 B.C. reigned when Ethiopian Egyptian king Piankhi began controlling all of Egypt 738-728 B.C. Tiglath-Pilesar III reigned during part of Israel king Hoshea's 737-728 B.C. reign. Assyrian king Shalmaneser V 733-729 B.C. reigned when Osorkon IV 738-723 B.C. was Piankhi's puppet. Shalmaneser V reigned during Hoshea's last years of reign. Assyrian king Sargon II 728-712 B.C. goes to war against Ethiopian Egyptian king Shabaka 728-714 B.C. (Isaiah 20:1-4) Sargon II received horses from Osorkon IV as tribute. Shabaka destroys Osorkon IV's power. Osorkon IV reign occurred in the reigns of Assyrian kings: Tiglath-Pileser, Shalmaneser V & Sargon II. Egyptian kings: Piankhi and Shabaka & Israel's king Hoshea. Key link in linking all histories together. Egyptian king Shebitku 714-698 B.C. Ethiopian king Taharka 714-698 B.C. (2 Kings 19:9)knew king Hezekiah 725-696 B.C. Assyrian king Sennacherib 711-688 B.C. tried forcing Hezekiah from power and lost. Egyptian/Ethiopian king Taharka 698-672 B.C. fought Assyrian king Esarhaddon 687-676 B.C. Taharka loses round one. Necho I briefly replaces Taharka. Assyrians withdraw from Egypt. Taharka rebels. Necho I flees away to Assyria. Esarhaddon tries to reconquer Egypt yet he dies before arriving in Egypt. Assyrian king Ashur-banipal drove Taharka from power in 672 B.C. Tanutamon arises to power. Egyptian/Ethiopian king Tanutamon 672-664 B.C. slays all the Libyan chieftains who sided with the Assyrans. Assyrian king Ashur-banipal 675-633 B.C. Ashur-banipal has problems with the Elamites before invading Egypt. Tanutamon flees from the Assyrian army. 664-610 B.C. Psamtik is installed as king over Egypt by Ashur-banipal. Ashur-Etil-llani 632-629 B.C. civil war rages throughout Assyria. Sin-Shum-Ishkun 628-612 B.C. loses Iranian provinces to the Medes in 625 B.C. and Babylon in 616 B.C. Chaldeans burn down Sin-Shum-Ishkun's palace in 612 B.C. Assyrians flee to Carchemish. Assyrian general Ashur-Uballit II 611-604 B.C. at first repels Babylonian king Nabopolassar's army. Babylonian king Nebuchadnezzar then destroys both the Assyrian and Egyptian armies in 604 B.C. Egyptian history does align with Assyrian history. Can the Assyrian kings list be matched to the Ethiopian kings of Egypt? Can the Assyrian kings be matched to 604 B.C.? Lets chart Assyrian history from 1413-604 B.C. Tiglath-Pileser I reigns over Assyria when the Philistines 1139-1099 B.C. oppress Israel. Shamshi Adad I 1064-1059 B.C. Israel's king Ahab 921-899 B.C. builds the House of Ivory. (1 Kings 22:39)Tukulti-Ninurta II receives inlaid ivory furniture from Phoenicia. Ivory is prevelent in these times. Ashur-Nasir Pal II 892-868 B.C. Tiglath-Pilesar III lived at the same time as Ethiopian Egyptian king Piankhi. Continued in part II. Mitanni king Artatama I 1476-1455 B.C. daughter was married to Egyptian king Thutmose IV 1471-1462 B.C. Mitanni king Shuttarna 1455-1445 B.C. daughter was married to Egyptian king Amenhotep III 1462-1424 B.C. Mitanni king Tushratta brought Amenhotep III presents hoping to receive gold in return. The Egyptian king gave him nothing. Mitanni king Tushratta 1445-1406 B.C. had a military alliance with Egyptian king Akenaton 1424-1407 B.C. Akenaton did not keep his word. Tushratta is Cushan-Rishathaim in Judges 3:8. Tushratta oppressed Israel 1418-1410 B.C. Othniel defeated Cushan-Rishathaim. Hittite king Suppilu-liumas 1428-1392 B.C. invaded Mitanni provinces and Artatama II 1406-1396 B.C. rebelled helping to bring down the Mitanni empire. attacks the Hittite king Tudhaliyas III 1301-1274 B.C. 's army and wins major victories. Egyptian history begins with the construction of the Step Pyramid in Zoser's reign after the Egyptians left the Tower of Babel and arrived in Africa. The Step Pyramid and temple are Sumerian in design. Lets check out Sumer history first. The Bible states the 1st cities built in Genesis 10:10 are Babel, then Akkad/Accad/ Agade, Erech etc. Nimrod/Sargon was the first ruler of Akkad. Sumer poem states Naramsin falls to the Gutium. Archaeologist Sir Leonard Woolley states the Gutium reigned over Sumer 91 years followed by Erech's king Utu-Khegal followed by UR III. Gutium 2123-2032 B.C. Woolley 91 yrs. Utu-Khegal 2032-2025 B.C. Woolley 7 yrs. UR III 2025-1917 B.C. Woolley 108 yrs. Akkadian king Naramsin attacks Menkaure called Manium in the Sumer language. Neferirkare 2111-2101 B.C. Sahure's brother. Pepi II 2007-1913 B.C. had trade with UR III. This is how Egyptians, leaving the Tower of Babel, begin building Egypt. Hittite chronology matched to Exodus to 579 B.C. chart. Hittite empire destroyed in 1237 B.C. Ramses III 8th year. Hittite king Suppiluliumas I paid tribute to Egyptian kings Amenhotep III 1462-1424 B.C. and Akenaton 1424-1407 B.C. Hittite king Suppilulumas I went to war with Egypt when Egyptian king Ay 1396-1392 B.C. reigned. General Horemheb slew Sup's son Zannanza as he headed to Egypt to marry Tut's widow. Hittite king Muwatallis goes to war against Egyptian king Seti I 1360-1347 B.C. and Ramses II 1347-1280 B.C. Ramses II 5th year 1342 B.C. is the battle for Kadesh. Hittite king Hattusilas III 1330-1301 B.C. in Ramses II 34th year 1313 B.C. receives Lebanon as a wedding present when he married Hattusilas daughter. Hittite king Tudhaliyas III 1301-1274 B.C receives grain from Egyptian king Merneptah I 1280-1268 B.C. because Assyrian king Tukulti-Ninurta 1283-1247 B.C. set fire to Hittite fields throughout the Hittite empire. Hittite king Suppiluliumas II 1267-1237 B.C. has a quiet reign until the Sea People's destroy the Hittite empire in Ramses III 1245-1213 B.C. 8th year in 1237 B.C. Once Egyptian chronology is established, Hittite history easily matches Egyptian history. Ethiopian king Piankhi 759-728 B.C. ruled from Ethiopia 759-738 B.C. Piankhi let Osorkon IV reign in the delta along with Iuput, Peftjaua-bastet, Nimlot and Bocchoris 738-728 B.C. Ethiopian king Shabaka drove out the delta kings and roasted Bocchoris alive. Taharka reigns over Ethiopia 714-698 B.C. Taharka reigns over Egypt... 698-672 B.C. This is the Egyptian chronology beginning with the Exodus date and ending a few years after 586 B.C., when Solomon's temple was destroyed. This part of Walking in Egyptian footsteps is taken from Egyptian chronology vs. Bible chronology. All reigns given in solo years. Example Amenhotep II 26 years is 24 years solo. Exodus pharoah life ended 1495 B.C. is Thutmose III. King Solomon's real reign was 1019-979 B.C. (1 Kings 6:1) 4th year = 1015 B.C. Shishak dies few months later 974 B.C. This is walking in Egyptian footsteps in every step. Janine Bourriau digging at Memphis and the delta only found 12th dynasty pottery and late 17th dynasty pottery produced during Seqenenre Tao and Kamose reigns. This indicates Seqenenre Tao and Kamose had something to do with starting a war trying to bring down the prosperous Amenemhet/Senusret 12th dynasty.Ahmose ended that dynasty. Egyptian priest Manetho therefore lied about Hyksos warriors destroying Egypt. Senusret III reign 1724-1685 B.C. Canaan in 1608 B.C. Hyksos stayed in Egypt 94 years. Since there was no first or second intermediate dynasties, Pepi II's reign at 2278-2184 B.C. is reduced to 2003-1913 B.C. Isn't it amazing Abraham is living at Ur when Pepi II's army is patrolling Canaan? God protected Abraham. Isaac lived for 180 years from when Egyptian king Mentuhotep II reigned over Egypt to Senusret III's reign dying some 10 years before Jacob enters Egypt. Senusret III is first king to have annexed Canaan. God protected Isaac. Jacob lived his last 17 years in Egypt under Joseph's protection. God protected Joseph. Moses was saved by Egyptian princess Hatshepsut; Moses gathered up his people and left Egypt after Thutmose III's army had defeated the Amorites. The Amorite 400 years of power then ended. (Genesis 15:13-16)God saved Moses. There are 521 years from the Exodus to Rehoboam's 5th year when Egyptian king Shishak attacks Jerusalem. (1 Kings 14:25)Those 520 years there was no contact with Egyptian troops. What a God given miracle! We can view ancient history and see how God defended the Jewish people. Mitanni king Tushratta daughter was married to Egyptian king Akenaton. Tushratta formed a military alliance with Egypt. Akenaton did not honor the military alliance when people in the Mitanni kingdom rebelled. Tushratta is Cushan-Rishathaim. (Judges 3:8)He oppressed Israel for 8 years. When the Mitanni withdrew from Israel, Hittite king Suppiluliumas I empire then expanded southward from Asia-Minor to Hobah just north of Damascus. Israelites lived safely along the banks of the Jordan river as the Hittites and Egyptians fought each other after Akenaton had died. Minor Egyptian queen Tiy conspired to have Egyptian king Ramses III killed. Tiy wanted to see her son Pentewere succeed to the throne. There was lawlessness in both Egypt and Israel at this time in history. Egyptian queen Tausert had an affair with her Syrian butler Bay. Syrians migrated from Syria into Asia-Minor, Lebanon, Israel and Egypt to escape Assyrian king Tukulti-Ninurta's reign over Syrian lands. Israel's judge Gideon (Judges 6:3)fought the children from the east (Syria)winning victory over them. Egyptian king Ramses II in his 34th year reigning over Egypt gives the Hittite king Hattusilas III Lebanon as a wedding present. The next Hittite king Tudhaliyas III ceded Lebanon over to the Amorites in a military alliance against Assyrian king Shalmanesar I. The Hittites knew the secret to iron production and share this technology with the Amorites. Israel's history does match the history of ancient nations when we match Egyptian, Hittite and Amorite history together. Queen Hatshepsut was the princess who saved Moses' life. Hatshepsut worshiped the cow goddess Hathor. The Hebrews, while in the wilderness, erected a golden calf in honor of the queen in their generation. Egyptian king Sahure was born in the sign of Nekhbet, the vulture goddess showing us there was famine near Egypt. Sit-Hathor-Yunis was Senusret III's sister, who worshipped the vulture goddess Nekhbet during the global world famine, occurring when Joseph reigned as governor over Egypt. There was a complete climate change in the Sahara desert shortly after the pyramids at Giza were built. The Sahara grasslands turned into desert as the monsoon rains failed and nomadic tribes then fled to the Nile river, beginning in Sahure's reign. There was a dry spell in east Africa where the Nile river starts, causing less water to enter Egypt resulting in famine after Pepi II died. There was the global famine. (Genesis 41:57)This happened during Senusret III's reign, when Joseph was in Egypt. We can study ancient history by studying climate. Amenemhet III son of Senusret III completes work on Bahr Yosef. (Joseph's canal)Babylonian slaves from the reign of Amorite/Babylonian king Ammi-ditana help complete the canal.Amenemhet III builds a Labyrinth after Egyptians visited the Minoans on the island of Crete and saw the Minoan Labyrinth. Amenemhet IV son of Amenemhet III and Sobekneferu's brother continues trade with Byblos and keeps the Sinai mines operating. Joseph dies when Amenemhet IV reigned and the Egyptian king mysteriously dies afterward. Prosperity stops in Egypt after Joseph dies. Queen Sobekneferu and Thebean Kamose both have a 3 year reign. It appears the Thebeans want their power back. Thebean Mentuhotep IV was slain by Amenemhet I. Perhaps the Thebeans assassinated Amenemhet IV. The mysterious death of queen Sobeknefru is a coverup and the next king in the Abydos kings list to follow Amenemhet IV is Thebean Ahmose. This war did not start with a hippo roaring in Thebes waking up Hyksos king Apepi starting the Hyksos and Thebean war.The Hyksos/Canaanites living in Egypt since Senusret III reigned went to war on the side of queen Sobekneferu. This is why no one can find her pyramid, since Thebean Ahmose won victory against the Hyksos/Canaanites and her history would be erased. Ahmose is from Egypt's so-called 18th dynasty and from the 18th forward-Egyptian history provides few difficulties. Civil war indeed occurred after Pepi II died for the nomarchs were declaring war against each other and trade between various nomes had ceased. A famine struck Egypt and the Memphis dynasty fell. Mentuhotep II won the civil war in his 39th year reigning at Thebes; Mentuhotep II also kicked the Amorite invaders out of Egypt's delta. Mentuhotep III Mentuhotp II's son re-establishes trade with Punt. Mentuhotep IV is a usurper. Amenemhet I built the Walls of the Ruler to keep the Amorites out of Egypt; Amenemhet I restores trade with Byblos. Abraham dies shortly after the Walls of the Ruler had been completed. Senusret I son of Amenemhet I is called the Throat Sliter of Asiatics. God tells Isaac to stay out of Egypt. Amenemhet II son of Senusret I receives the Tod treasure from the Minoans in his 28th year of reign. Senusret II has Minoan laborers build his temple at Luhun as foreigners trickle into Egypt. Joseph becomes governor of Egypt in Senusret III's reign. Senusret III annexes Canaan and Joseph manages both Egypt's and Canaan's economy. This is where the Canaanite/Hyksos history begins. This is the hidden truth where Egyptian history matches the Bible. 99% of Egyptian historians repeat Egyptian priest Manetho's 30+ dynasties, while knowing many dynasties did not exist. Egyptian real history shows us the less characters given before the 18th dynasty, the better Egyptian history matches the Bible. The House of Khety will fight Thebean Mentuhotep II in a civil war which happens after Pepi II dies. Sakkara Egyptian kings list spells out the next king after Pepi II is Mentuhotep II. Queen Sobeknefru will fight Thebean Kamose after Amenemhet IV dies. 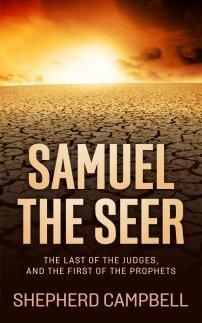 The Hyksos/Canaanites will side with Sobekneferu in this civil war. The next king after Amenemhet IV is Ahmose the brother of Kamose. Abydos Egyptian kings list after Amenemhet IV the next king is Ahmose. Perhaps the true history will come to light, perhaps it won't. We won't see Egyptian history matching the Bible unless the false Egyptian dynasties are eliminated. Bible mockers constantly state Egyptian history began in 3400 B.C., when our Bible shows Noah's Flood at 2344 B.C., and mankind leaving the Tower of Babel in 2243 B.C. Egyptian historian Manetho spun a lie which few seem to challenge. Famine struck the Sahara as the weather patterns changed in the days Sahure lived. Sahure's name is derived from Sahara. Emaciated people are pictured in Sahure's causeway. General Unas' causeway also shows starving people invading Egypt. Unas defeats Egypt's enemies in the north, south, east and west proclaiming his victory to his god Atum. Unas has palm temple columns just like Sahure. Teti Unas son-in-law has trade with Gudea the governor of Lagash. Both build their temples to the Holy Stars. Teti is assassinated by a palace guard. Pepi I, son of Teti, recruits 50,000 Cushites to fight the Amorite sanddwellers in Canaan and wins victory after fighting five wars. Walking in Egyptian footsteps, we discover some interesting insights on how history occurred in Egypt after mankind left the Tower of Babel. Every thing that people know, someone knew before them. If that is not true, then where would the teaching be? God says that all man's knowledge is ignorance to Him. History is so full of misinformation that people fill in the blanks to appease their own minds. Since we of this generation were not present, we do not know the whole truth. Maybe Noah didn't build the ark, and maybe Jesus didn't go to the cross. Maybe God's bible isn't true at all. If that is true, then what can we believe? God said He sent a delusion to confuse mankind. Who knows? One thing for sure, every person on earth will die someday, and one way or another they will find out, or not. Living in the past and not knowing the real truth is not living at all. No one can delay the inevitable; and living in the past is a waste of life. I believe we should live in the present and the past will take care of itself. This day is a gift from God, that is why we call it the present. Egyptian king Snef-ru son of Path-ru-(sim)(Genesis 10:14)defied Ptah, built an Egyptian temple at Byblos along with 40 cedar ships. Snefru built two pyramids. Khufu son of Snefru built the Great Pyramid at Giza. Redejef son of Khufu established trade with the island of Dilmun. Khafre son of Khufu built the second pyramid at Giza. Menkaure son of Khafre built the third pyramid at Giza. Shepsekaf son of Menkaure completes Menkaure's pyramid at Giza. Userkaf Menkaure's son-in-law built the first sun temple in Egypt. Sahure son of Userkaf developed trade with Punt. This is the correct way of establishing Egyptian history by following the pyramid builders. Following father to son succession is the way to establish real dynasties.